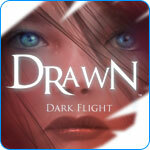 Drawn: Dark Flight Game - Download and Play Free Version! 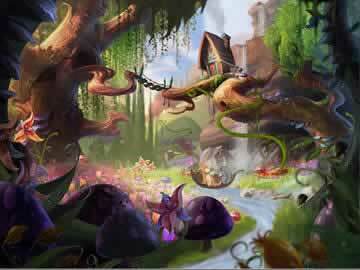 Experience awesome graphics and unique puzzles in this fantastic adventure game! The kingdom of Stonebriar has been kept safe from the shadows of darkness by the light of the three beacons for centuries. Since the arrival of the evil king, the three beacons have been extinguished and now darkness reigns. Iris, the rightful child queen, has been locked away in the tower by the evil dark king while his shadows crawl through the once beautiful streets. Franklin, Iris's one remaining friend and caretaker has helped her escape the tower, but paid for it with his life. The only way Iris can become the queen she is destined to be is with your help. 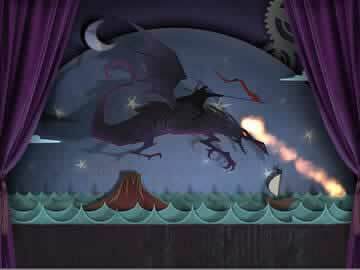 In this fun and exciting new Adventure game, Drawn: The Dark Flight, you will enter paintings and help the subjects in their quest to gain clues and objects. Repair ancient mechanisms by gathering gears and levers from devastated parts of the city that will help you open new levels. Put your mind to the test by solving complicated combination locks to reveal hidden items that will help you along your way. If you get lost on your quest the spirit of Franklin and other fantastic characters will be available to point you in the right direction. Only you can discover the secrets to relight the three beacons and give Iris back her throne. Drawn Dark Flight teaser trailer.